This year is very auspicious. On December 21st, 2012, one era ends and a new birth of human consciousness begins. We have been building up to this for a long time. Please see my December blog for more details on the changes we can prepare for. To celebrate the countdown into the new dawn, I am devoting this January newsletter to a subject which is important for all beings, Health, Longevity and Beauty. In our recent Newsletter survey, some people asked that this subject be addressed, and as I have a lot of personal and professional experience in these areas, here goes! For optimum health, I have prepared a few guidelines regarding nutrition. We are what we eat, quite literally. It is really not a joke! A few years ago, I did a 21 day fast and silent meditation retreat. One of the most important things I discovered was, that as my body was purging toxic elements, I could taste on my tongue, all the nasty unhealthy things I had ever eaten in my whole life!!! It was all stored in the cellular memory and was affecting my body big time. Once these nasty elements had been expelled through the detox, I then began tasting all the wonderful things I had ever eaten which my body had greatly appreciated. At this point, I knew that my body had begun the process of literally eating its own resources and this meant the fasting had done its work. When I began eating again, very slowly, and consciously, the ecstasy was beyond the beyond. Just a sip of pure coconut water was divine beyond all imagining. For those who would like a detox retreat, either with fasting or with raw food, I can recommend: Hawaii Naturalpathic Retreat Center with Maya Baylac, the Tree of Life with Gabriel Cousens and Niten’s Raw Food Retreats. For anyone curious about raw food, my friends Jenny and Robin are giving a free talk and taster evening in London on Tuesday 10th January. Eat a light, nourishing breakfast, a large leisurely lunch, and a light supper, as regularly as this may be possible. Eat minimum 60% raw food. The exception to this rule is if you are in some places in Asia, such as India, where eating raw food could give you dangerous parasites, or Japan and China, where raw food is not part of their culture, and therefore difficult to find. The main meal should contain a minimum of 5 colours. Eat a wide variety of different vegetables, grains, nuts, seeds, herbs, spices, fruits and tastes. Drink enough high quality water to replenish the approximately 6 glasses lost each day through normal bodily functions. Begin drinking water first thing in the morning and then in-between meals. Eat locally grown seasonal vegetables and fruits as much as possible. If eating sweet foods, have these in-between meals, not with savoury dishes. If eating dairy products, use these very sparingly and make sure they are organic. If eating meat or fowl eat it organic and use it as a condiment only. Eat a balance of 80% Alkaline, 20% Acidic foods. Become a detective in service of your own health and read all labels on anything packaged you buy. Avoid sugar like the plague and anything containing sugar, glucose, malt, corn syrup, and any other form of refined sugar. Don’t eat foods which have been cooked in oil as when oil is cooked it becomes dangerous for the health. Don’t use refined, processed oils. Avoid white rice or white pasta or any refined grain. Don’t drink tap water unless it has been filtered and properly re-energized. Don’t think you are getting hydrated by drinking sodas, tea or water which has been boiled, you are not! Only fresh water or freshly squeezed juice hydrates our cells. Avoid eating on the run. Don’t gulp food and swallow it whole like a dog or a snake. Throw away your microwave, since microwave food is like partaking of death itself. If the ingredients label on a food item is very long or has hidden terms you don’t understand, like any E combinations, don’t get it. Don’t think you have no power to change the food industry. The consumer has all the power. If you have read this far, you may be thinking, “Oh my god, this is too much change! I can’t possibly go there! This is drastic! Of course all this is easier to ‘swallow’ when it is laid out slowly and explained in detail. I have written a whole book on this subject which is not yet published, but will be sometime soon I hope! Remember the ancient proverb, “a journey of a thousand miles begins with a single step.” If you can assimilate even one of these nutritional tips after reading this newsletter, your body will thank you for it so much that you may come back looking for the next step! In this way, following your own rhythm, you can finally make your way to balanced nutrition and radiant health. My general rule is, when giving up something; always replace it with something which gives equal, or even more pleasure and which will also enhance health. Water is the source of human life. It bonds very deeply with stellar and lunar energies, and also carries the deep memory of the whole creation of life on earth. The earth itself is impregnated with this memory and water flows through earth, absorbing and transmitting this memory. 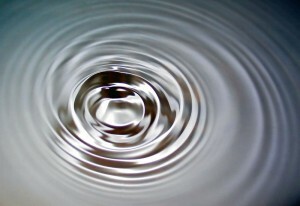 In order for water to transmit its message of life, it needs to breathe. This is very important. If it cannot breathe, it will die. It is a living element. It also needs to be activated, to move, in a dynamic swirling pattern, which mimics the act of creation and de-creation, the dance of life. There are many devices on the market to filter and then re-energize water and there are also drops you can buy, called Crystal Energy developed by Dr. Patrick Flanigan which will help your water to be life enhancing. Tachyon water chargers and disks also help to cleanse and charge water with source energy. Just as we take our car to the garage for a regular tune up, it is important to do regular detox of organs, blood and lymph. Part of any detox regime will also include yoga or some other form of exercise, as well as massage. As well as a once yearly detox, we need to pay attention throughout the year to support maximum health by doing regular exercise which helps to move lymph, which is the body’s way of taking out the garbage. I do the five Tibetans, which takes about 20 minutes each morning, and I also do another series of exercises which is called Somato Therapy. This keeps my body toned and humming with delight. You can buy a book on the Five Tibetans from the Tantra Shop. The importance of meditation for health, longevity and beauty cannot be over-emphasized. One of the major causes of ill health is stress. When we meditate, stress diminishes and we discover inner sources of bliss and well being. This fact has been well documented in recent studies. If you have not yet discovered the joy of meditation, give yourself the gift of a meditation retreat. Vipassana, Satori, Zen Meditation and Who Is In? are all good ways to dive deeply into the experience. 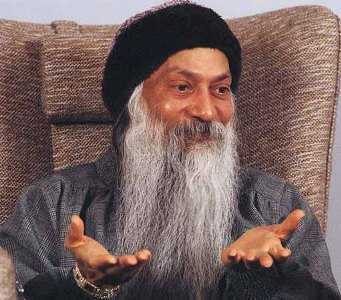 The book, ‘Freedom Is‘ by Brandon Bays is a wonderful way to understand why meditation is good for you, Also, Osho’s book, ‘From Medication to Meditation‘. In addition to this, I go to a beauty therapist once every six weeks for a facial. It is a kind of religion for me. I may travel the earth almost non-stop, teaching groups, but I faithfully return to Siobhan in Kings Langley U.K. each six weeks to lay down for an hour and a half of heaven. She uses only natural organic products. She will travel if you gather several friends who want to experience her divine beauty treatments or learn about cultivating beauty. And if you would like to be beautiful but feel you don’t know how to draw out your best qualities, have a session with Lucy. 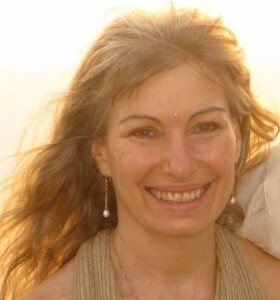 She teaches Tantra for women and also offers style and colour sessions for men and women. She can also help you sort out your wardrobe and take you shopping for best designs and outfits. In addition to this, I need to add a word or two about the precious gift which has been in my life for the past 18 years, and that is Tachyon. The founder of Tachyon Technologies, David Wagner, has made a breakthrough discovery which merges science and spirituality. With the support of Tachyon, I am able to remain in a continuously youthful state, in spite of my busy travelling schedule. His brand new development, an amazing multi faceted Tachyonized crystal called the ‘Star Gate’, is truly miraculous. With this tool, the matrix of the soul is returned to its original pristine state as all previous wounding evaporates back to source. Just in case some people reading this believe I am simply trying to ‘sell’ something, I just want you to know I make no profit from star gate sales. I am just so excited about it and wish to share it with people I love….. I have been using it with my large extended family over the Christmas holidays, and all are astounded at the results. I would like to take this opportunity to wish everyone reading this newsletter, and even those who haven’t read it but may benefit from you talking about it, LOVE AND BLESSINGS for the New Year and beyond. Learn more about Sarita’s favourite Tachyon products.